WW-435 Royal blue delphinium and white dendrobium orchids are featured in this wristlet – complete with matching beaded bracelet. Bracelets vary by availability. 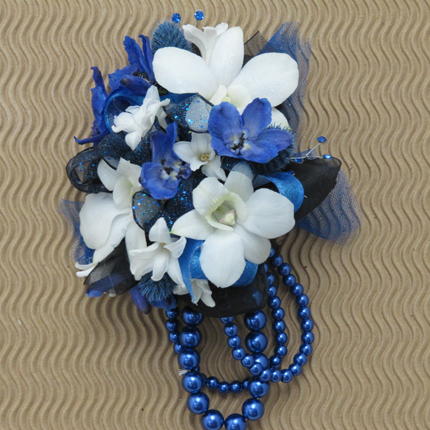 Royal blue delphinium and white dendrobium orchids are featured in this wristlet – complete with matching beaded bracelet. Bracelets vary by availability.